Oh yes, they’re beautiful. Who could see that flash of red against a field of snow and not be struck by their beauty? Cardinals are one of those bird species that you never hear anyone complaining about. Seven states claim them as their official birds. They don’t migrate, so they’re around us most of the year. Both the males and females sing a variety of glorious melodies. They’re beautiful backyard companions. And some people, even some Christians, think that they’re messengers from God. There’s certainly nothing Christian about this belief. If you do a little research you’ll quickly see that it’s promoted by folks with decidedly un-Christian beliefs—folks like psychics and New Agers of all varieties. And yet some Christians seem to believe that seeing a cardinal means seeing God’s messenger, almost as if it’s written in Holy Scripture. 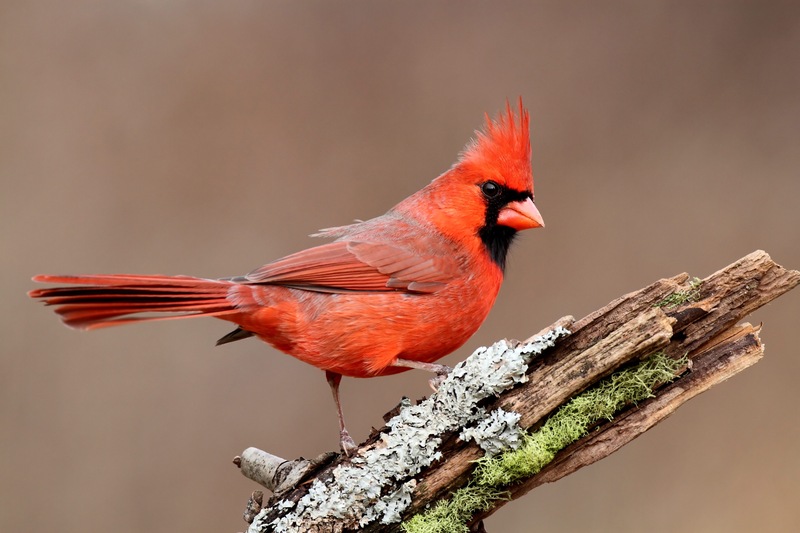 Many folks go a little bit further in their cardinal “gospel” and believe that this bird is actually the spirit of a dead relative who is visiting them. Where these beliefs originated is hard to say. It seems to have just appeared in our not-quite-orthodox quasi-Christianity and grown more popular due to social media. No particular author or source is ever cited. Now, can God use a cardinal as a messenger? We Catholics certainly believe so. But I’m speaking here of the Cardinals of the Church and not the bird, of course. It’s these men whose red robes gave the bird its name. They wear red as the symbol of the blood they’re willing to shed in defense of our faith. But certainly God could use a simple bird as HIs messenger. He’s God, so He can do anything, with anything, for any purpose He chooses. And He’s already told us about His messengers. Scriptures tells us quite a bit about angels. The word means “messenger of God.” The Bible describes how the Lord sends HIs angels to communicate with us. To begin with, angels terrify us. When they visit, the first thing they say are words to comfort and reassure us. These aren’t your chubby Hallmark cherubs. Angels are big warriors, armed and fit for defeating the “powers of the air” (Ephesians 2:2) that St. Paul writes about. The Book of Revelation leaves no doubt about their strength and power. God has countless angels at HIs command and He gives them watch over us, to protect us and guide us. Catholics believe that each one of us is protected by a specific guardian angel and that we can ask for that protection and guidance whenever we need it. They watch over us during our lives and serve as our companions when we leave this world. Many of us can tell stories of those times in our lives when we felt the presence of our angel helping us through an especially difficult time. We know that angels are real and are sent to help us and remind us of God’s love for us. Why? Because He has told us so. So why would we put more faith in a pretty red bird than in the mighty angels who serve at the Lord’s command? I think many folks don’t foster a relationship with the angels, but they still crave a deep connection with God. And so they see a pretty bird and they want it to be more than just a pretty bird. They want it to be His messenger. They’re forgetting that we’re all surrounded by His messengers every moment of our lives. They don’t see the clouds of angels walking among us, waiting for us to ask them for their help. As Jesus was suffering in Gethsemane, He called on an angel to be with Him. “An angel from heaven appeared to Him and strengthened Him”(Luke 22:43). If Jesus calls forth angels, shouldn’t we? I love the pretty cardinals in my garden and when I see one, it reminds me of the great gift of God’s messengers and my need for the comfort, strength, and guidance of His angels. 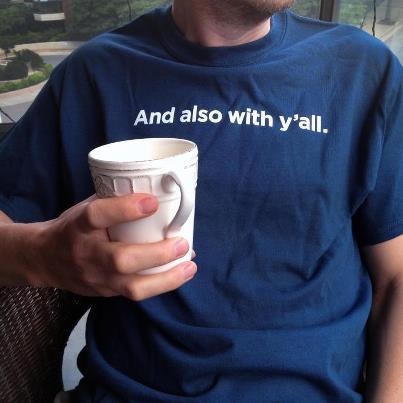 Here in the South we’re used to bragging on ourselves. Of course what other folks (spelled y-a-n-k-e-e-s) call bragging is what we just call “telling the truth.” We’ve got the prettiest women, the fastest horses, the best bourbon, the greatest college football teams….well, you get the picture. As a native Georgian, I’ve heard it all since childhood. Generations of my Scots-Irish protestant ancestors have crafted the mythology of all that’s right and true about the South. But my ancestors never expected to beget a Papist like me in these pine-covered hills and here’s what I’ve come to believe: Southerners make the best Catholics. And I’ve got my reasons. 1. Apostolic Succession. For Southerners, this is being able to trace your family tree back to the Mayflower and beyond. We believe in the unbroken line of inheritance (especially of family recipes) just as our Bishops trace their authority to Jesus Christ. If you think this isn’t a serious comparison, then you’re not a Southerner. 2. Momma. And everything that means. 3. Language. Most of y’all can’t understand us anyway, so we may as well be speaking Latin. Dominus vobiscum. 4. Charisms. These are the spiritual gifts of the Holy Spirit. Various Catholic religious orders are founded on different charisms. Dominicans are known for their preaching. Franciscans work with the poor, etc. In the South we have Bulldogs, Tigers, Gators, and others. Different charisms. Occasional fights. 5. The Communion of Saints. Those who have died in Christ are alive in heaven and they pray for us. This is a well-known Southern belief. Visit a cemetery on decoration day, or a front porch on any Sunday afternoon and you’ll soon realize how alive the dead remain to us. 6. Everybody comes home for Christmas and Easter. No matter how far away they might live, our family knows that their place will be waiting for them at the table and at the altar when they return. Just don’t sit in my pew. 7. We enjoy a drink or two. Catholics believe the Lord gave us wine and beer to enhance conviviality among friends and family. We see you carrying that flask to your tailgate party and sneaking behind the woodshed for a nip of some home brew. Y’all ain’t fooling nobody. 8. Flannery O’Connor. She called the South “Christ-haunted.” She’s right. 9. We believe in miracles. The grace of Baptism. The Body, Blood, Soul, and Divinity of Christ in the Holy Eucharist. We believe in the cooling goodness of an August rain shower. The unexpected colors of a glorious Gulf sunset. A Greg Maddux cut fastball at Fulton County Stadium. 10. Beauty. We see God reflected in the windows and arches of a magnificent cathedral. We hear the angels sing “Panis Angelicus,” the hymn to the Bread of Heaven. Kneeling with the youngest, the oldest, the most saintly and the worst sinners (like me) as we worship the Lord together. The smell of incense rising up like our prayers rise to heaven. The wondrous God-made beauty of a thoroughbred horse, yearning and straining to the finish line. A baby named after her Mamaw, sitting in that Mamaw’s lap wearing her Sunday best. A perfectly ripe, homegrown tomato. The beauty of Catholicism and the beauty of the South reflect the Author of Beauty. 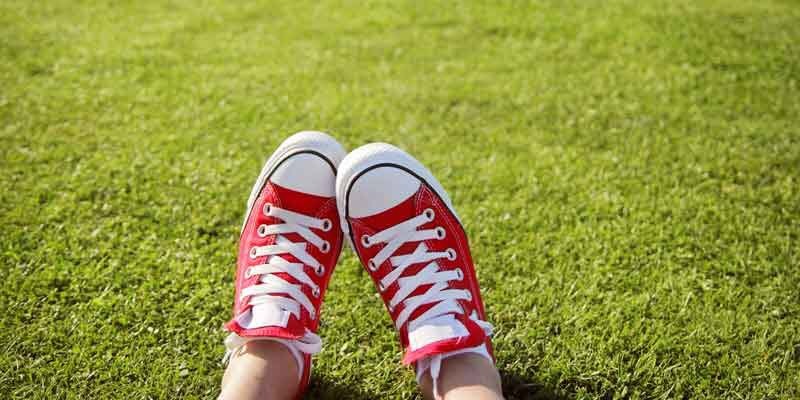 When the days grow longer and the temperatures rise, there’s something inside many of us that begs us to relax, to put our feet up…and do absolutely nothing. Maybe it’s the heat or maybe it’s just that every moment of our busy days makes us long for some relief from it, for just a few minutes of down time. Whatever the cause of it, we need to pay attention to that call of our built-in laziness. What??? Lazy is never a good thing, right? Well, maybe and maybe not. I’m not suggesting that we shirk all our responsibilities forever but just that we “unschedule” ourselves on a regular basis. We need to create some time where no one is expecting us to be anywhere or do anything for a bit. The only expectation is that we’ll open our hearts and minds to whatever the Lord may want to lead us. We’re going to waste some time with Jesus. This is something that we can see the followers of Jesus doing with Him as they enjoyed listening and asking questions. We can imagine how HIs words would have stirred them, making them question their decisions and evaluate how they were living their lives. Some were drawn closer to Jesus and committed their lives to Him. Their faith was always rewarded. Their time with Christ became the treasure in their lives. This is what He offers each one of us. But we’ll never know that closeness if we don’t spend time with Him, listening. First, get your Bible and read one chapter in one of the Gospels. Any chapter of any Gospel. Pick your favorite or find one that has always challenged your understanding. Read it. Now read it again, more slowly. Focus on Jesus’ words. Now imagine yourself being there, in the moment with Jesus. Imagine Him talking directly to you, looking you in the eyes. How does His gaze make you feel? What people in your own life come into your thoughts as He’s looking at you? How are His words inviting you to live? Make a list of all the people that you are praying for. Now add to that list all the people who have hurt you, betrayed you, lied about you, abandoned you, or have been a stumbling block for you. These people will become the treasures of your prayer life. Offering prayers on behalf of those who have hurt you is a sure source of grace. Nothing pleases our Lord more than seeing His children live out His teachings of love and forgiveness. By our prayers, we reveal our wounded hearts to Him and He never fails to heal us, forgive us, and draw us back to Him. Once you’ve prayed for all the folks on your list, you’re ready to spend time with God “in the cool of the day” (Genesis 3:18). This is how our first parents came to know God in the Garden. They opened their hearts and listened. They enjoyed each other’s company. How wonderful that time with God was and how beautiful that He offers that same sort of time to each one of us. He not only offers that experience to us, He craves it. God wants to spend time with each of us. He longs for us to invite Him in to every moment of our lives. So set aside a lazy afternoon to “waste” some time with the Lord. You’ll never regret giving those hours to Him. You’ll be revived and refreshed and hopefully you’ll want to schedule more “unscheduled” hours for prayer and reflection. I grew up in the country. My childhood home was at the dead end of a long gravel road, surrounded by pastures and woods. We wore paths into the grass walking from our house to the barns, to the pond, and to the vegetable garden. There were chores for us to do, but there was also a great freedom in those years in the country. I first lived in an urban setting when I went away to college. Even then there were acres of woods and grass on campus to explore. The difference there was all the sidewalks. One of the first things I noticed though, was how folks would ignore the sidewalks to cut across the grass or through the woods. We took the shortest routes, the easiest walks, the paths of least resistance going from class to class, to our dorms, or to the cafeteria. All those sidewalks were largely ignored as we made our way around campus. There’s a name for these footpaths we humans like to make. They’re called “desire lines.” I love that. 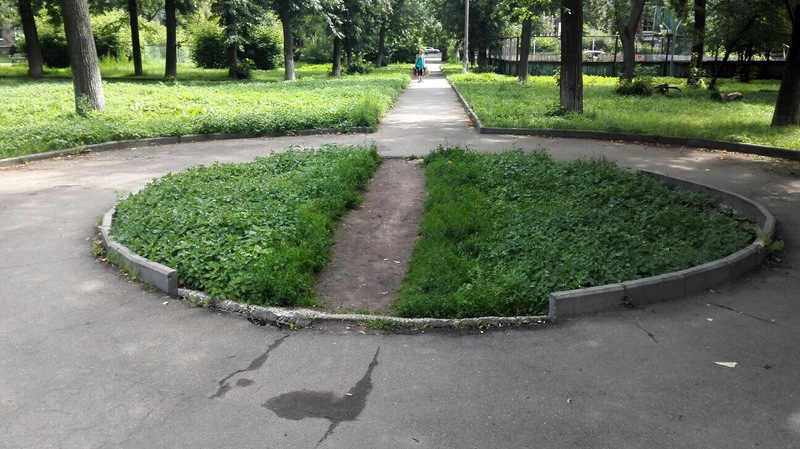 Architects and planners have long been aware of our tendencies to cut corners and make our own trails. In Finland, it’s common for new buildings to go without sidewalks during their first year so that they can pave the desire lines made by the public. That seems logical and economical, too. But most landscapes, like my university, bear the marks of our walking choices when we ignore the sidewalks. I think of the paths I’ve followed in my own life. Without God, how far might I have wandered off into the wilderness? Even so, there have been times when I followed the wrong road. Sometimes my heart led me to a place I thought I desired, only to find out when I got there that it wasn’t at all what I’d imagined. Pretty pathways can lead to dark and dangerous places. I’ve lost friends to the allure of such journeys. We all have. The point about sidewalks and footpaths and desire lines is that they are all just means to an end. They are ways of getting from here to there. Some are more direct than others. Some are laid out for us by others, while some are the paths we make for ourselves, over the months and years of our lives. All have risks and rewards. What matters on our journey is that we don’t look down at our feet, but that we keep our eyes fixed on Christ. Some of us will be called to follow wandering footpaths and some will seek out sidewalks. I feel like there were many times that I walked in place, going nowhere. But I never went wrong when I kept my gaze on the Lord. He waited when I dawdled. He called me back when I got lost. And I was never alone, because He has given us His Church and His Sacraments to infuse us with grace and to keep us nourished for the journey. We have such a short time here and so much to see and to do. So many people to know and to love. So many summer sunsets and wintry snowstorms. Every second, every footfall is a chance to know love and to be love for others, to lend a helping hand, and to offer mercy and forgiveness. Much of the noise and confusion of the world fades to nothing when we remember Who made us, and that He made us for a purpose: love.